Ofqual, the exams regulator of the UK government, has confirmed that Cambridge ESOL’s Delta qualification for teachers is at the same level as a Master’s degree or a professional diploma in the European Union. This is a result of Delta being placed at level 7 of the UK government’s Qualification and Credit Framework (QCF), making it the only English language teaching diploma currently included at this level. N.B. The DELTA on its own does not constitute an MA qualification but is considered to be at the same level, which makes holders eligible for exemptions, credits, and fast track options in a variety of UK based universities. The following UK institutions offer credits or exemptions to DELTA holders, for the courses listed. We make every attempt to keep this information up to date – however, applicants should always check with the institution, as they do change their requirements, and these may differ for individual applicants. Please use Google to verify the information below and do leave a comment if you have information about other universities not included here – we have added total number of credits where this was available and easy to find from the university website. Bristol, University of MSc in TESOL 40 credits. 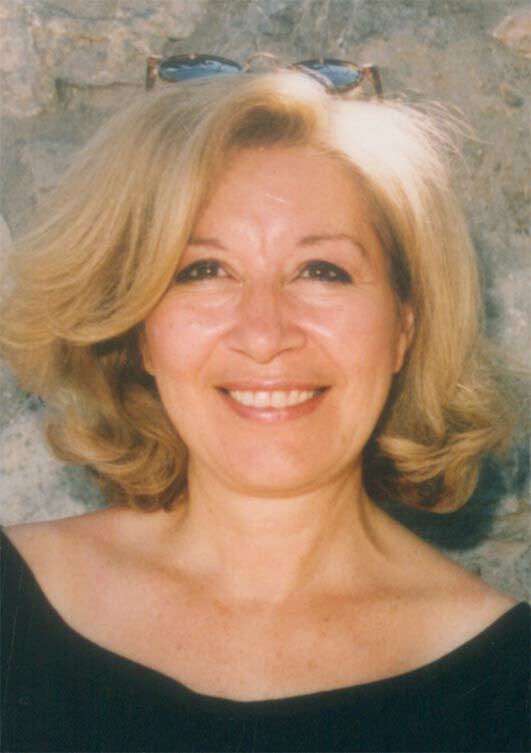 A teacher, teacher educator and materials writer, Marisa Constantinides is the head of CELT Athens, a teacher education centre established in 1993, She is responsible for the design and training on all courses including Cambridge CELTA and DELTA, face-2-face and online. Marisa has a strong presence in Social Networks, moderates #ELTchat, a weekly discussion on Twitter (recently nominated for an ELTons award in Innovation in Teaching Resources). Marisa maintains a number of blogs (TEFL Matters, #ELTchat, Teaching & Learning Languages, the DELTA course blog, the CELTA course blog). 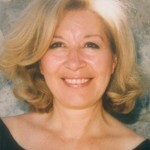 She has published materials for young learners as well as for B2 and C2 level classes. If you liked this post, you can subscribe in as RSS Reader. To subscribe to my personal blog RSS feed of this blog, click here! Actually, this change in status came into play about three years ago. Still, it is nice that the valued of the DELTA is being properly recognized. Hi Marisa, thanks for this list, it’s a useful reference point when looking at which Masters to choose. I wondered do you have any information or know where I could find some on Universities outside the UK which may offer credit exemption for similar courses. It would be nice to reap the benefits somewhere abroad on a face to face course whilst my partner continues teaching, if one exists! I am sorry I cannot help you there. You would have to contact individual universities and show them the UL university list and perhaps they might offer some exemptions. Reblogged this on Profesorbaker's Worldwide English Blog. Hi Marisa! Reblogged this informative post. Great dedication on your part in putting it together. Will definitely help some teachers make informed choices about their careers! Have a fantastic ’14! Great news and an useful reference list for MA TESOLs. Hopefully, the DELTA will begin to gain more recognition. My colleague contacted Nottingham Uni. once she read the post a couple of days ago and they confirmed that they DO NOT have any exemptions for Delta holders for MA ELT programme. This is very helpful thank you! Actually I contacted Nottingham University too this week about their distance Masters, and they said that they do have exemptions for DELTA (2 core modules), but it means that you can only start the course in January (as the 2 modules that are exempt run from May to the end of the year). Thank you for your enquiry which has been passed to me to reply to. I’m afraid that we do not offer any credit in respect of Cambridge Delta. I have been accepted onto the MA TESOL web-based at Nottingham University. I have been given fourty points and exemption for the two core modules mention above on the strength of my Trinity TESOL Diploma. I contacted the OU a while ago and they told me I couldn’t get any credit for my DELTA as it was too long ago (Mid 90’s). They were not interested in the fact that I am a CELTA and DELTA tutor. None of our DELTA’s (mine was a DTEFLA and yours, probably the same) are part of the agreement which is pretty recent. I finished my M.A. at Reading quite a while ago but have many previous DTEFLA and DOTE holders waiting for some sort of recognition, too. Perhaps, join forces with more people in the same position? Hi Marisa, Yes I did the RSA DIP TEFLA as it was. I think the argument that it was too long ago to count for credit would be ok if I had been working in a completely unrelated field and had therefore not kept abreast of developments. But as I have continued to work in EFL, including as a CELTA and DELTA tutor, I don’t see why it shouldn’t be taken into consideration . Good news! 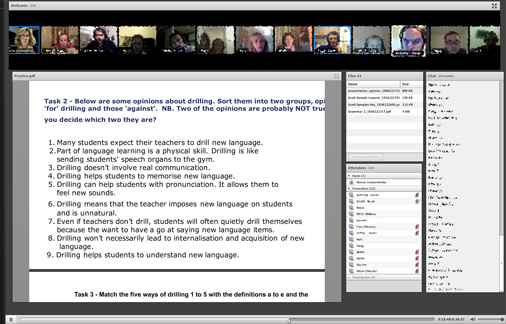 Do you know if Cambridge allow similar exemptions for MTESOL holders hoping to do a DELTA? No such luck Tim – doesn’t work the other way round I’m afraid. Do you know of a UK university MA program that I could finish in 6 months after DELTA? Thanks Ian – will fix when I have a minute – great to know! Hi again, now that I’ve finished the DELTA and am actually applying for courses I have been a little surprised by some of the responses. The contact for the MA Education TESOL at Oxford Brookes stated he didn’t think the DELTA would be worth anything at masters level, but after checking with another member of staff he conceded it would be worth one module only (Language teaching, 20 credits). 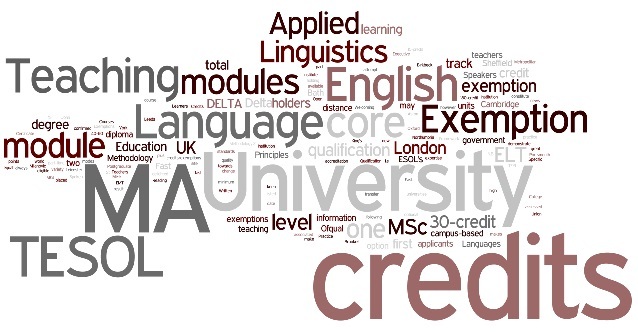 The University of Reading have confirmed it is possible to apply for 30 credits APL, although you have to make a case for the specific module that you deem your DELTA covers. I would be interested to hear if anybody has experience of successfully obtaining APL credits for their MA. Save yourself some credits from your M.A. by following a DELTA course! You will benefit by getting your theoretical background, which is what M.A.’s are for, but you will also get the classroom polish and materials – syllabus design savvy which is why the DELTA is so well respected! Leeds Beckett University (previously known as Leeds Metropolitan University) offers credit exemption to Delta holders on both the face-to-face and the online MA in ELT. It also offers direct entry to semester 2, so candidates who participate in December’s assessment can start their MA immediately. Anyone interested can contact me for more info. I did RSA Dip TEFLA in 1990 and it doesn’t count towards an MA at Oxford Brookes as too long ago and ‘things are different’. Great site and many thanks for the helpful information. Like Ella, I have the RSA Dip TEFLA, though from even earlier, in 1988. Wow, time has flown. Apart from the question of credits towards an MA, I wanted to ask about writing a CV. I am sure that some schools do not know much about the old RSA Diploma, so I wanted to ask what I could write in my CV re. equivalency. Would it be accurate to write under RSA Dip TEFLA something like (*equivalent to the Delta, as determined by xxxx)? And if so, who would the xxxx be? Hi Chris – sorry it’s been a while since I checked comments on this blog! I have a the same Diploma like you but although there is no official line on the question of equivalency, this is only because the Level 7 status of the new Delta has a start date on it. Hi Marisa, Thanks a score for sharing these information. Actually I have a CELTA and I’m wondering is it possible to get module exemption within a University giving web-based MA in TESOL or ELT. Not with a CELTA, I’m afraid – only with a Delta. Great info – thanks very much.